No I was not pushed head-first out of a moving car, nor did I get into a bar fight. What you’re looking at is my face a few days after a getting chemical peel done at a so-called “medi-spa”. What I know now about these types of facilities is that there is often very little that’s “medical” about these places. First of all, what exactly is a medi-spa, and how are they different from a regular spa? Larry H. Oskin, President of The International Medical Spa Association explains in this article to SpaInc.ca, a resource for the Canadian Spa industry: “The main point of differentiation is that a medical spa has medical estheticians and doctors on staff, as well as nurses. There are different teams that are certified and licensed to provide different services. Traditional day spas can’t do certain things. But the crossover between medical spas and day spas is blurring.” These days, it’s not uncommon to find unscrupulous places that offer injectables, lasers, and other services that are traditionally done at a dermatology clinic. 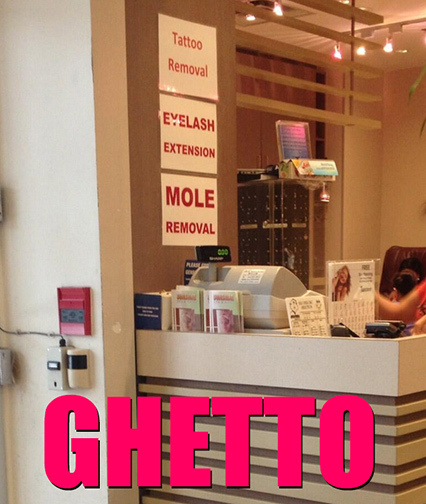 For example, would you get your tattoo and moles removed at this nail salon? In a recent statement released by the American Society for Aesthetic Plastic Surgery, “Over the last few years, there has been explosive growth in non-surgical cosmetic procedures, often performed in retail or spa-like settings. Unlike physician offices where clinicians oversee the treatment and maintain medical records, spa-type centers may have limited or no full-time medical staff and may lack the experience or training to handle more than routine beauty services. Patients need assurances that a qualified and trained practitioner will perform their procedure appropriately, under sanitary conditions, and with product where the quality and source is known and FDA approved.” In Toronto, it seems like there is a “medi-spa” or “skin clinic” around every street corner, and with ads in free daily newspapers and group buying websites, it’s all too easy to snag a skincare deal. And that’s how I got suckered in. 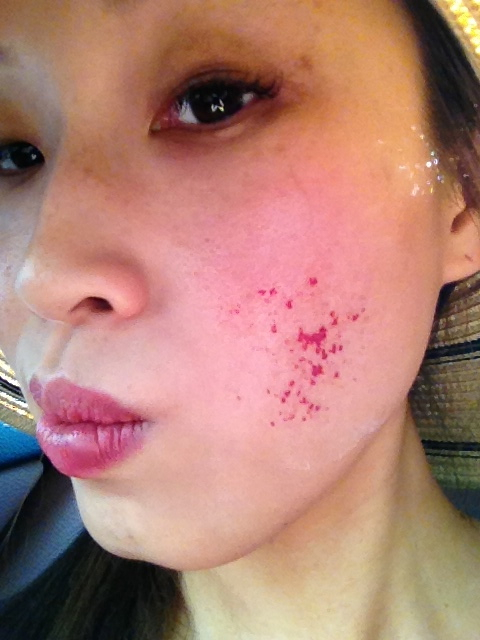 Immediately after the treatment, my skin looked sunburnt, which is a normal post-peel reaction. But what was unusual was how my forehead and cheeks became inflamed with clusters of small, cherry red raised bumps the next morning. When I called the medi-spa the next day, Ms. Cleopatra hastily told me to “relax” and that the marks would scab over, then shed, and reveal “fresh, glowing skin like a baby.” I could sense in her voice that she wanted to get off the phone as quickly as possible. Having had peels done in the past, plus friends who have gotten peels before also, I knew that the after effects can vary between person to person. However something about this place didn’t sit well with me. But not one to cause whup, I decided to wait it out. By day two, the situation wasn’t looking any better and I started to get worried that if I didn’t do something ASAP the marks would leave behind scars, and I didn’t need any more scars on my face! So I high tailed it to dermatologist Dr. Lisa Kellett‘s clinic and showed her the damage. She told me that she saw this kind of situation all the time (phew! Embarrassment subsided). She proceeded to examine my marks, asking me thorough questions about the treatment, recorded the situation in my medical file, and sent me away with a prescription for hydrocortisone, kindly advising me to apply it frequently for the next few days to help it heal and minimize the chance of scarring. I also had to avoid the sun like the plague. Dr. Kellett’s front desk staff called me a few days later to check up. Luckily for me, my skin healed within three weeks, without scarring. What I know now, I’d like to share with you. Be a smart skincare shopper: Ask these 4 questions! Medical aesthetics is an unregulated industry in Canada. It is not a licensed trade like it is in the States where aesthetics students need to complete a certain number of hours and complete a licensing exam before they can practice. In fact, hairstylists (who must be licensed in order to practice) undergo more professional scrutiny and regulation than skin care professionals in Canada do. To become a certified “skin therapist” in Canada, one needs only to attend a privately-owned beauty school for less than a year. Upon completion, many of these new grads open up shop and market themselves as pros, which means that potentially dangerous treatments can be carried out by people with little or no medical experience. It is really is buyer beware! 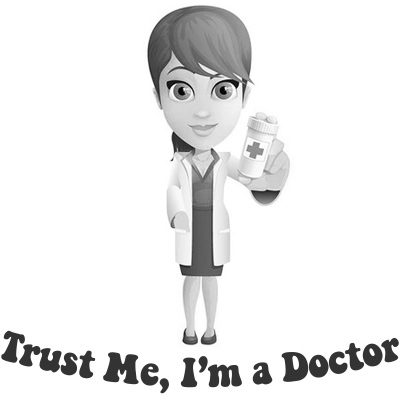 As a patient/customer, you deserve to know who is treating you, what their qualifications are, who the supervising physician is (if any at all), and where their products come from. Below are some key questions to ask, either on the phone or at your initial consultation. 1. Is there a doctor on site, and what kind of physician are they? Many of these places are affiliated with a doctor by name only, meaning that they are rarely on site unless a problem arises. And problems can happen. That being said, some clinics do have doctors on site, however most of the time, these MDs are not physicians who deal with skin every day, like a dermatologist (or a facial plastic surgeon) does. For example, a simple Google search on a clinic whose newspaper ads display “#1 mole, skin tag, and wart removal clinic” revealed that it is actually a hair transplant clinic owned by a General Practitioner (GP) who also does Botox and fillers. In other newspapers, I have found ads with dentists and even chiropractics offering cosmetic treatments. Why is this happening? Non-invasive anti-aging treatments are wildly popular and mainstream, and unfortunately doctors who may be cash-strapped in a bad economy or perhaps not getting enough insurance reimbursement are cashing in on the trend. In many cases though, you will likely be serviced by an aesthetician at these facilities, which can be another grey area altogether. Titles can be a sensitive thing to bring up in a phone conversation, so I suggest reading this article “There is No Such Thing as a Medical Esthetician License” to gain some background information on the profession. Your best bet is to see a board-certified dermatologist. Take it from me! I have a girlfriend who recently confided in me that she did her facial fillers at medi-spa; Injected by the owner’s husband, a dentist. She ended up looking like a blowfish! 2. What technology and/or products do you use? This is important for injectables. In Canada every box of Botox Cosmetic and Xeomin Cosmetic comes with a Drug Identification Number (DIN), and you have every right to ask the place to see this. When Botox is administered by unqualified or inexperienced practitioners, the risks include more than just droopy eye lids, it can paralyze breathing and swallowing muscles if used incorrectly. As for lasers, contrary to what some places might tell you, one laser cannot treat all skin types. Dr. Kellett, who has six different laser machines at her clinic to safely treat light and darker skins, tells me that laser machines have been around since the eighties and today there are many types ranging from spa to medical-grade. Personally I’ve gone to one medi-spa for a series of six laser hair removal sessions and three skin rejuvenation treatments where they used the same radio-frequency machine for both services; results were not impressive. Much like cellphone technology, laser machines have evolved dramatically over the years, hence the multitude of devices at disproportionate price points. Many non-medical places offer lower price points on machines they claim are the same that doctors use. This might be true to a certain extent, but don’t forget that the experience of the technician matters too because cosmetic lasers and “intense pulsed light” (IPL) machines are powerful machines (categorized as Class 3 medical devices) with the capability to damage your eyes and permanently mark your skin. In fact, a survey done by the Canadian Dermatology Association revealed that 73% of dermatologists have treated patients for burns and scars sustained after seeking laser treatments. Take it from me! A friend of mine got third degree burns on her forearms from laser hair removal done at a salon. 3. 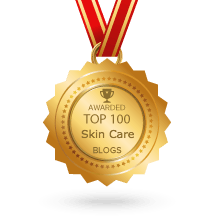 How do you remove skin lesions? When it comes to mole, skin tags, and wart removals, method will determine price. Several of the budget-friendly clinics that I called said that they use cryosurgery (freezing with liquid nitrogen). Cyrosurgery is an older and cost effective technique that family doctors use in their offices. A weaker form of this technology is available in over-the-counter skin tag removal home kits (like this one on eBay). Some places with a GP on site will burn skin lesions off a heated tool, using local anaesthetic if requested. The average cost at these place are about fifty percent less than the prices at a dermatology clinic. 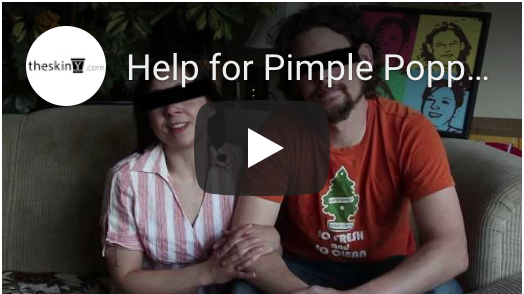 One place that I called that charges $50-$75 + per mole on the face; $25-$55 per wart; and $5-$15 per skin tag. Like outlet shopping, the price is tempting! 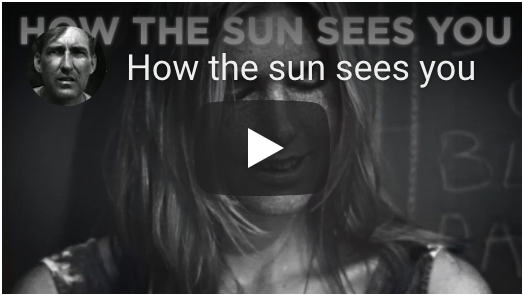 However it’s important to know that skin lesions and even flat brown spots might be a sign of skin cancer, and facilities that charge so little will not test this for you. 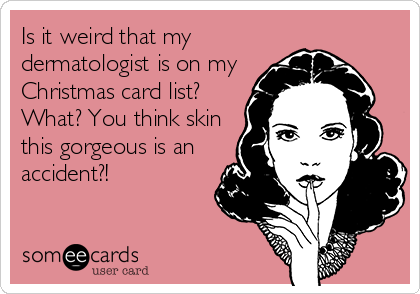 They will refer you to a dermatologist. Dr. Kellett removing my sunspot with electrodessication. Take it from me! I’ve had quite a few spots removed by Dr. Kellett. And she has used a variety of methods because each lesion posed a unique concern (some were raised, some flat, some darker than other). 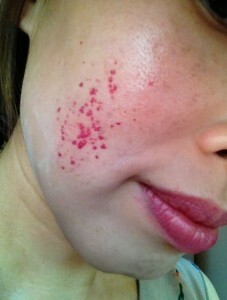 Dr. Kellett has used modified shave excision, Q-switched Ruby Laser (which really wowed me! ), and a heated needle (electrodessication). 4. What is the protocol at your place if something unfortunate happens as a result of my treatment? This is where you’ll see the true colours of a true medical professional versus a profit-driven business owner. At one medi-spa that I called, the aesthetician laughed out loud when I asked her if there was a doctor on site. Her reply was that she and her business partner (another medical aesthetician) do not need a doctor to supervise because they have a combined “30 years of medical experience.” She added that since they were not “injecting” the skin, their services are considered “cosmetic”. The truth is, you can get burned from lasers and peels. But because these places are not regulated by the government, they are not held to the same level of accountability and safety standards as a regulated facility, such as a dermatology clinic. There, the staff are under the watchful eye of Health Canada, so pre-treatment education and individualized attention to minimize any potential risks during and after treatment is of top priority. And if, in the case that something does happen, there are protocols in place to ensure your safety and health. 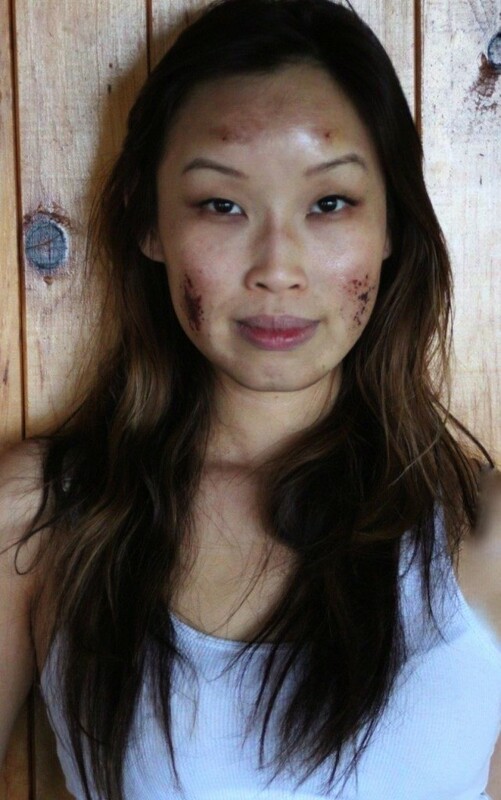 I’m always surprised when people tell me that they they trust their skin to people who aren’t medically trained to deal with skin (everyone seems to have a “skin lady”) and frequent sketchy places (such as basements! ), and then lament about their results. It’s like expecting a gourmet meal from an all-you-can-eat buffet! When I ask these people what their go-to expert’s qualifications are, I often hear something like oh, she works in a spa; or a clinic with a doctor; and she has a bunch of certificates on the wall. Well, I have news for you: I also have a wall of certificates from skin care seminars I’ve attended just to broaden my general knowledge of the industry. Some of these were weekend courses, a few are from one-day seminars, and I even have one from an online quiz that I aced. That doesn’t mean I’m qualified. Conversely my “skin lady” is a board certified dermatologist who has had fifteen years of medical education before she opened her private clinic in 2005. You might have seen her on t.v. In the end, the decision of where to go and who you see is up to you. Just make sure to make an informed decision. Take it from me, Former Road-Rash-Face-Girl. 93 queries in 1.512 seconds.